Australia’s Foreign Minister Julie Bishop says the Iran Deal will depend on Iran fulfilling its commitments and that she will condemn any threat to Israel. In a statement issued following the Iran deal, the foreign minister says: “We acknowledge the work of the p5+1 countries to address international concerns about Iran’s nuclear program. The success of the agreement would depend upon Iran fulfilling its commitments. The Australian Government will carefully consider the detailed terms of the agreement between the P5+1 and Iran. In principle, the Government has a strong track record of opposing proliferation of weapons of mass destruction, including nuclear weapons. While the government notes the assurances of the US, France, UK, Russia, China and Germany that the agreement will prevent Iran developing nuclear weapons, the challenge for Iran will be to cooperate with international inspectors and convince the international community that it is not pursuing the development of nuclear weapons. 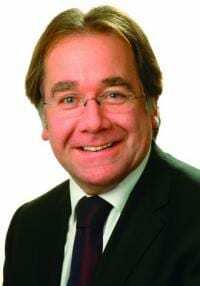 In New Zealand Foreign Minister Murray McCully has welcomed news that agreement has been reached on a nuclear deal between Iran, the Five Permanent (P5) members of the United Nations Security Council, and Germany. He said: “Over the last eighteen months negotiators have been working to secure an agreement that will increase international confidence in the nature of Iran’s nuclear programme. This agreement is a positive development for regional stability in the Middle East and will allow for further progress to be made in the relationship between New Zealand and Iran. New Zealand commends all parties to the negotiations for staying the course and concluding this important deal.